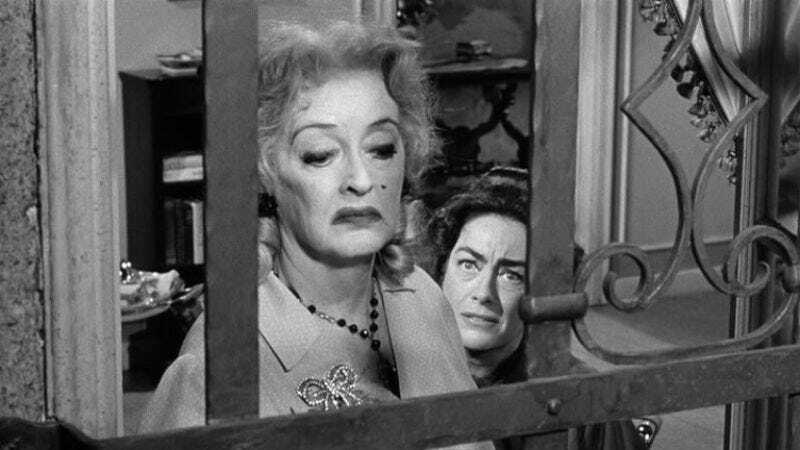 Today in yes, really: Walter Hill is remaking What Ever Happened To Baby Jane? Presumably conceived through either a magnetic poetry kit or as some sort of complicated dare, Walter Hill has been hired to direct a remake of the creepy Robert Aldrich classic What Ever Happened To Baby Jane? for a new generation, one that Hill says will nevertheless retain the "golden age of Hollywood" time period that is so respected in every sense besides just leaving it alone. Hill, primarily known for more action-oriented work like 48 Hrs. or the forthcoming Sylvester Stallone-starring Bullet In The Head, will use that acumen for bitchy bickering and working with decaying movie stars to tell the story of two sisters and faded movie stars sharing a crumbling gothic mansion and plenty of resentment. On replacing the original's Bette Davis and Joan Crawford, Hill acknowledges that the two leads "demand great performers"—a task that not even the Redgrave sisters, aided by tons of winking subtext, were up to in the 1991 TV movie version. So now begins the process of trying to lure someone of a Meryl Streep- or Anjelica Huston-caliber to this project, while also imagining what sort of sweet wheelchair chases Walter Hill has in mind.